It is said that once Africa is in your blood, you will always return there. No expression could be more aptly applied to Tanzania. The country’s harsh realities, its poverty, and its struggles, belie the rich, deep layers of culture that make it one of the most spectacular, impressive, and fascinating countries on the continent. If Tanzania is an exotic tapestry of flavors, colors, and smells, then the Tanzanians are the canvas that holds them all together. Made up of some 120 tribes, most with their own language, the country is a melting pot of cultures and ethnicities. Collectively they have built a country where manners are valued, where handshakes are full of affection, and laughter is irrepressible. Warm, expressive, boisterous, engaging, peaceful, and, above all, friendly—there is no other people quite like them. Gripe though you might, curse at the obstinacy, and swear at the inefficiency, once you’ve left you’ll want nothing more than to return; because rare is a population whose national psyche is infused with such a spirit of helpfulness; where even a complete stranger will step forward to help someone in need. This is the quality of undugu, which permeates Tanzanian society and covers most of the country with a warm, effective social security blanket. 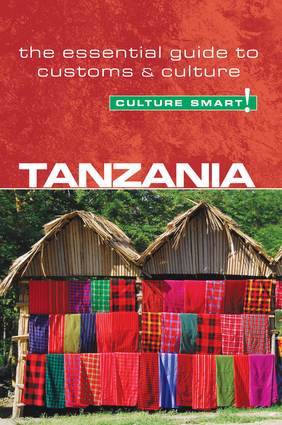 This book explores the country’s past to explain some of the complexities and contradictions of modern Tanzanian society. It looks at how people relate to each other at home, at work, and at play, and offers advice on what to expect and how to behave in different contexts. Tanzanians are bighearted and optimistic. Make the effort to understand them, and they will welcome you unreservedly. Mzungu, literally translated, means a person who walks in circles. It is the name reserved for Westerners and it is advisable to abandon any irritation with the tag early in your stay: depending on the length of your visit, you might hear it thousands of times.